I place ads for two different pages that I manage. I’d like these accounts separated so that the ads and billing information aren’t all bundled together in Ad Manager or Power Editor. I’m assuming I’ve not set something up correctly. Since I advertise for others as well as myself, this is an issue I had to figure out for my own business. And, of course, Facebook does a poor job of explaining how to do it. Let me break down the question a little bit more. You advertise for several different clients. But you want to separate the reports between those clients. There’s also the issue with billing. You don’t want to pay for the ads in each case and need to get reimbursed. You’d prefer to instead charge directly to your client. Many consultants end up getting a username and password from the client. This isn’t necessary. Within the past year or so, Facebook rolled out five admin levels that would seem to solve this problem. If you’ve tried this, you know that it doesn’t solve the problem explained above. Sure, you can be added as an advertiser to multiple Pages this way. But you can’t separate these accounts and you’re on the hook for the billing. Have your client go here. It’s the Facebook ads Account Settings page. If they aren’t directed to the proper place, have them click on the Settings link on the left side while in the Ad Manager. Then they need to enter your name (if you’re a friend) or your email address to add you. 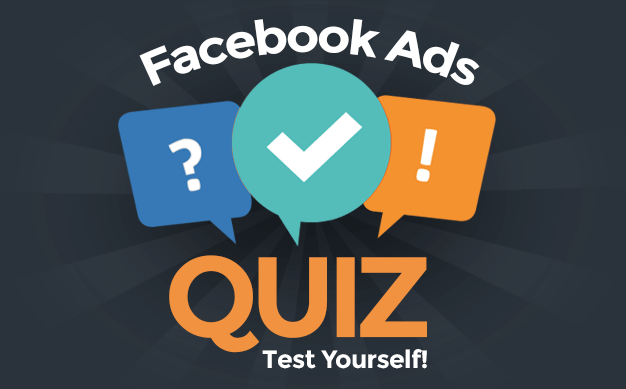 General Users can see and edit your ads and set up ads using the funding source associated with this ad account. 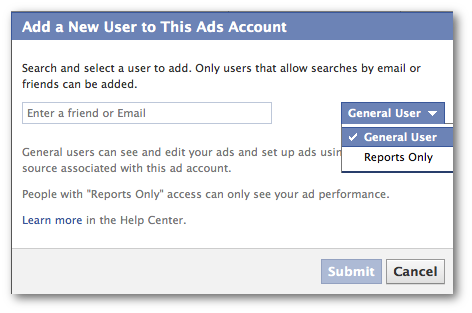 Reports Only access provided to users who can only see your ad performance. So, obviously, you want them to add you as a General User. First, you will now be able to select from your available accounts when creating ads. 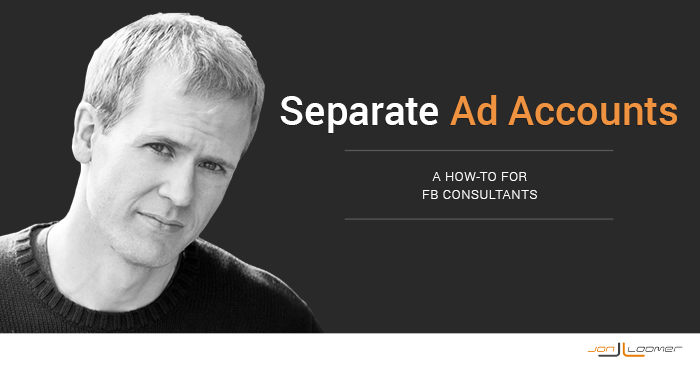 You should now have no problem keeping your ads and reports separate. Additionally, since your client added you to the account, ads will now be charged to their billing source. Easy, right? So stop with the work-arounds and having to foot a bill that your clients may or may not get around to paying.